Do you ever wonder why you have a fetish for a particular item? Like, why did Imelda Marcos need over 1000 pairs of shoes? And why do I have such a thing for ginormous wall clocks? I really don’t know the answer but what I do know is that I’ve had an attraction to unique wall clocks for quite some time now … and the bigger the better! 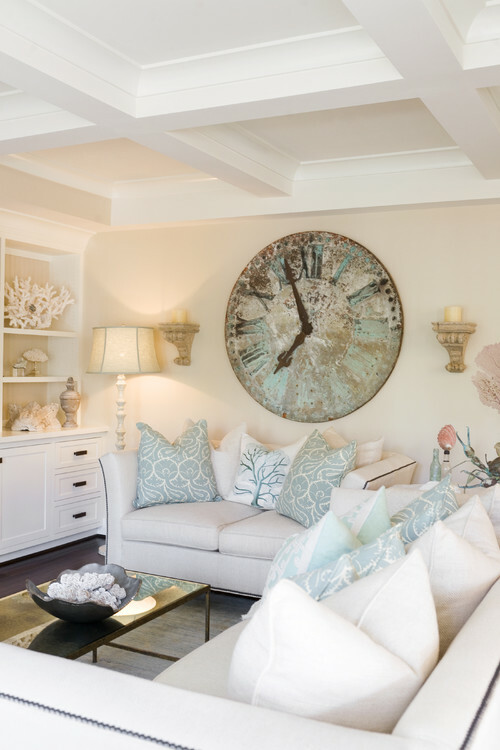 I found several photos of amazing wall clocks over at Houzz this week. Wanna see? 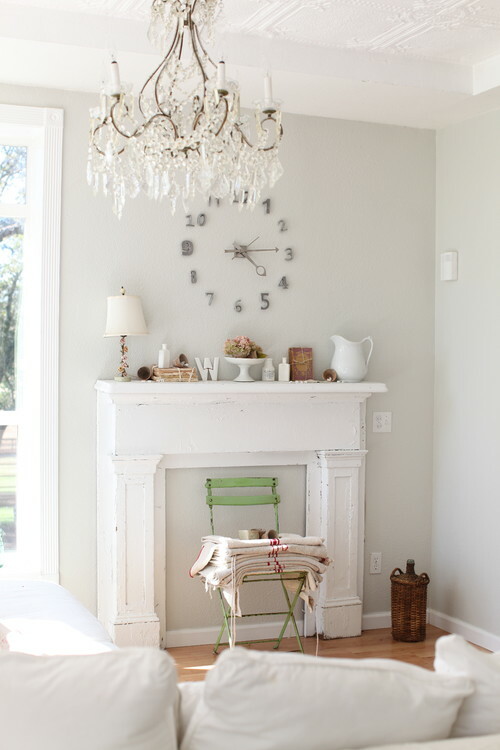 Okay, I have a serious crush on this clock! It’s huge, it’s distressed, and it has cool hands. More importantly, it would look fabulous in my house! 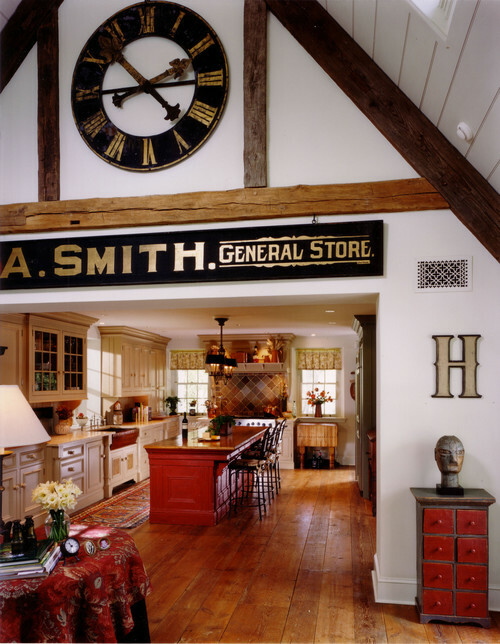 Eclectic Kitchen by Upper Darby General Contractors Spencer-Abbott, Inc.
Another oversized wall clock takes residence at the peak of this room’s gable. It adds balance to the large General Store sign. The kitchen isn’t too shabby, either. Love the warm, neutral tones of this living room with a slightly industrial vibe. 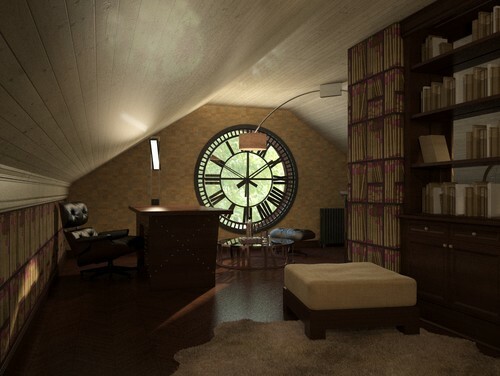 The large wall clock echoes the shape of the amazing light fixture. Who says a clock has to stay inside? 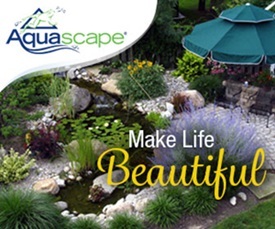 This one looks great outdoors! Of course, you could always just make a clock right in the wall like this one. Another outdoor clock. 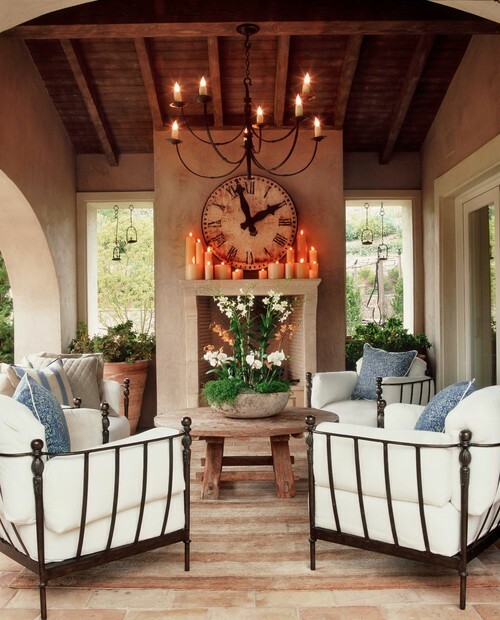 The glowing candles create a cozy look. What a great spot to enjoy a glass of wine after a day of work! What I love about this clock is its blue face. Perfect for this beachy, cottage style room. Farmhouse Kitchen by Upper Darby General Contractors Spencer-Abbott, Inc.
See how perfectly a big wall clock looks on an expanse of wall? 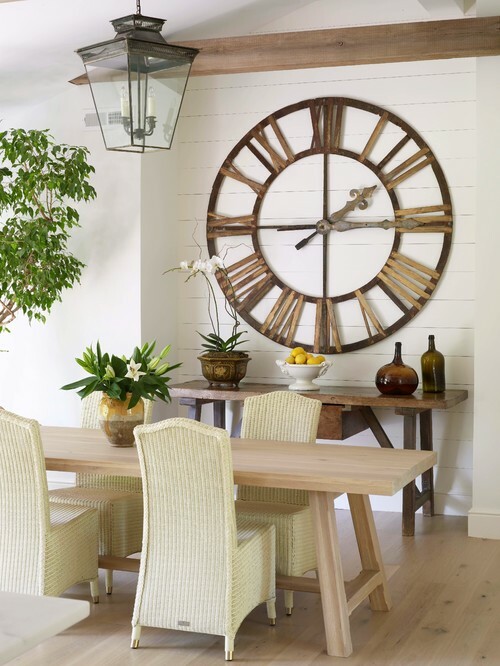 This rustic clock was the perfect solution for this cozy dining nook. 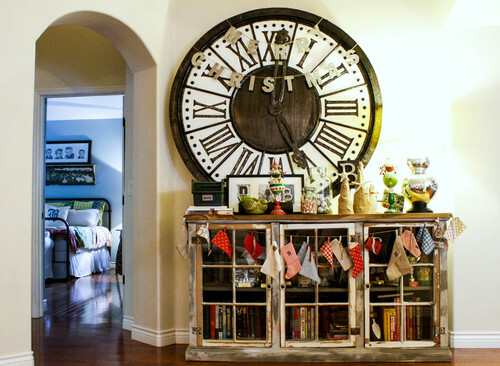 A big clock doesn’t have to hang on the wall to look great. This one is appealing resting atop a rustic cabinet. This could very well be the coolest wall clock I’ve ever seen … a clock built into the wall! Transitional Dining Room by New Canaan Design-Build Firms TR Building & Remodeling Inc. 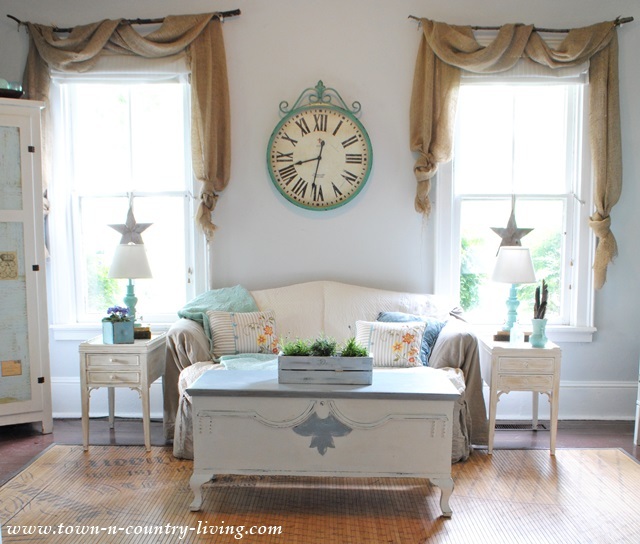 This large wall clock might be easy to re-create if you have large enough circles. 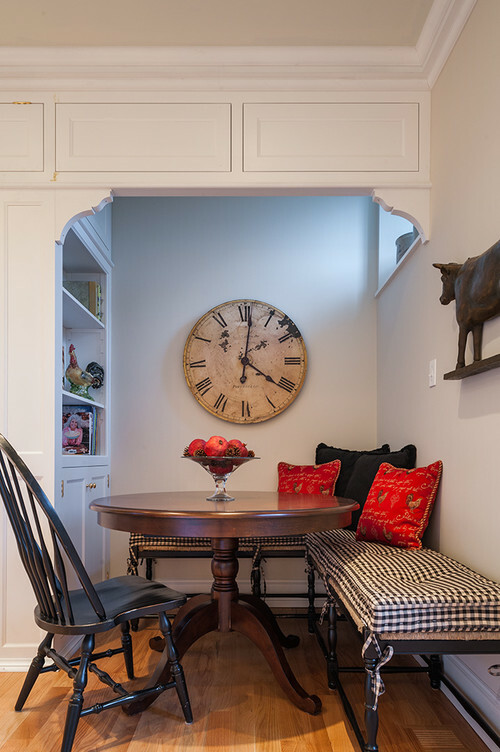 Its simple design is so appealing and is perfect for this dining alcove. A classic, black clock looks great anywhere. This office space has a lot of geometric patterns. Diamond cut-outs in the cabinets, the rectangles of the drawers and filing system on the counter, the squares in the window, and the round wall clock. And finally, here’s my new wall clock that was the inspiration for summer decorating in my family room. 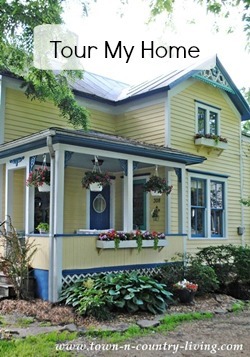 Do you have any fetishes when it comes to decorating? 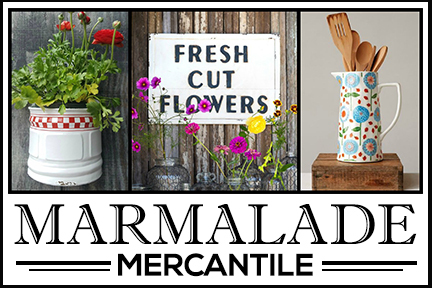 What’s something you have a hard time passing up when you’re out shopping? 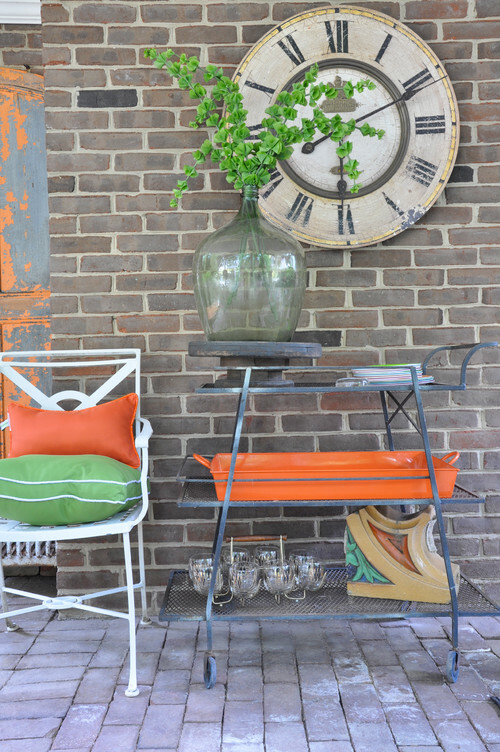 The patio clock is my fav…as well as the patio! I have a thing for over sized clocks, too. My oh my I want the cow on the wall in the breakfast room you shared. 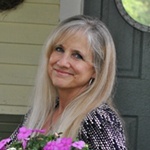 Love the first picture, and the picture of your living room! I would to find out too! I love it! What is it about clocks? I am attracted to them too. Love all the inspiration clocks you showed but my fave is yours. The new blue clock over your couch is so bright and cheery. Love it. 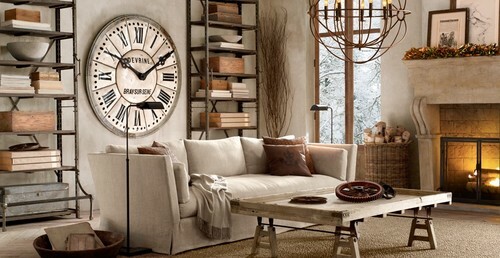 Jennifer, I’ve been so on the hunt for a large wall clock for some time and still haven’t found THE one. I love them too!